Nevada is a State best known for the Megacasinos of Las Vegas and a pervading ‘anything goes’ attitude. Having some of the most liberal laws in America makes it one of the best destinations in the country to let your hair down, but the appeal of the Silver State isn’t limited to gambling and excess; also on offer are stunning landscapes that play host to exciting adventure sports from rock climbing to water sports. 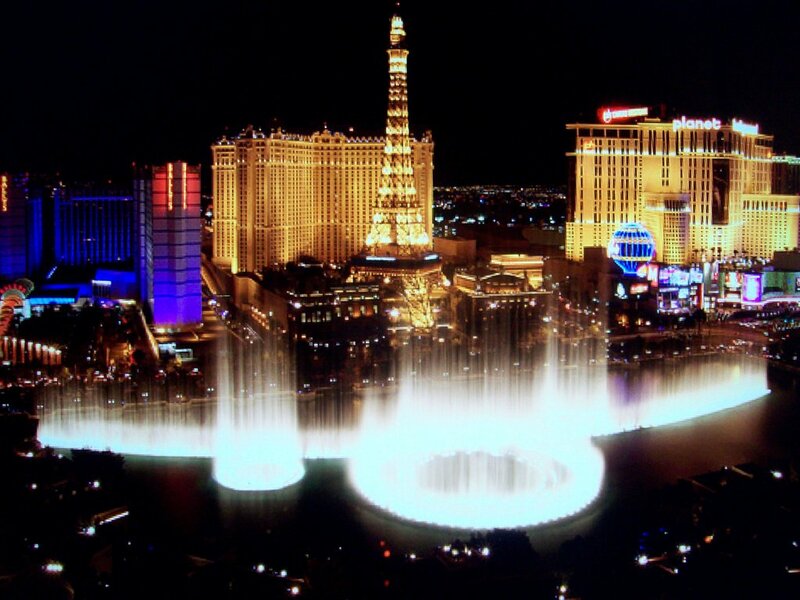 Las Vegas is a city everyone should visit at least once. The sheer size and extravagance of its hotels and casinos has to be seen to be believed, and the budget traveller can easily find good value if they are prepared to stay a few minutes away from the strip. You’ll need to be 21 to gamble, but it doesn’t make sense to spend all your time at the tables anyway as Vegas has so many dinner shows, malls, themed rides and clubs to offer. While far from the cheapest destination, there are plenty of ways to pick up discounted entry to attractions and simply visiting each casino in turn is an awesome way to spend a day as they each have something unique to see, from replica pyramids to Venetian style gondolas. When Sin City loses its appeal you can head out into the unknown – Nevada contains a number of National Parks and wilderness areas that possess stunning beauty, from the deserts of Death Valley to the mountain lakes of Great Basin National Park in the north of the State. Lake Tahoe offers 360° vistas of the Sierra Nevada Mountain Range, is noted for its clear waters and is located on the border with California. Snow sports are popular in winter, while water sports and hiking are the activities of choice in the summer months. Trekking in particular can be enjoyed across Nevada’s National and State Parks, and ensure your camera will be overworked. Overall really good article, got the tone right and picked out the right things. As you can see I made a few minor changes to the sentence structure, but pretty minor changes. The only real thing to keep in mind for this one is the change I made to the beginning of the last paragraph. With articles like this, with contrasting things, it’s very important to make sure there is some sort of flow between the sections so they follow on, rather than feel like two distinct sections. Overall though really good.